The following is a guest post by Christopher Flores. Chris is a marketing specialist and a blogger from California. When not eating hot dogs and rooting for Lakers, he loves exploring the Digital World and helping others to embark on their own digital adventures. Follow him on Facebook and Twitter. 2015 marked the year where videos experienced massive growth through every social media available. Hence, it is essential for brands and companies to integrate live videos as part of their SMM strategy for 2016 onwards. The CEO of Facebook, Mark Zuckerberg in his very first Q&A session stated: “…now, as our Internet and networks are getting better, we can start to support more video – we can upload videos, we can do this live like we’re doing here, and that is making this experience richer and richer and you’re getting a better sense of what people are experiencing and feeling, which is really powerful”. Facebook is taking the initiative, with respect to enriching experiences. At the tail end of the year 2015, they introduced live video sharing to boost engagement. “2016 will mark the year where companies will have to reshape their marketing strategies at a much quicker pace than ever before. Tapping into interests and satisfying needs will require you to provide rich real-time experiences through video platforms”, says Abel Sparks, Senior Marketing Specialist at the Chicago SEO Company. The previous year, 2015, threw up some amazing stats with respect to the Facebook live platform. People spend 3 times longer watching any live video than pre-recorded ones, according to a recent study carried out by Facebook. During the same year, video viewing figures on the platform doubled to an amazing 8 billion per day. Facebook has been actively increasing the organic reach of live video content. Just recently they have revealed that live content will appear higher on a person’s newsfeed. Even if, you’ve never previously found the need to engage your audience through live platforms, the sizeable audience on hand must change your approach. There is no rigid way of putting out content, especially when the platform offers flexibility through direct audience engagement. We have listed a few things you can do to really make an impact with your Facebook Marketing efforts. Nowadays, it’s more important than ever to add value by identifying your audience’s problems and solving them. Content Marketing facilitates just this, as you can create and share an engaging piece of content, which, in turn, will be shared by everyone who loves it. This had been a sure fire strategy used by brands as well as bloggers to create webinars, e-books and other “how-to” kits. Typically, these pieces of content also feature experts as guests to lend credibility and boost traffic. We live in the information age, where knowledge is priceless. Facebook Live makes knowledge sharing so much easier. 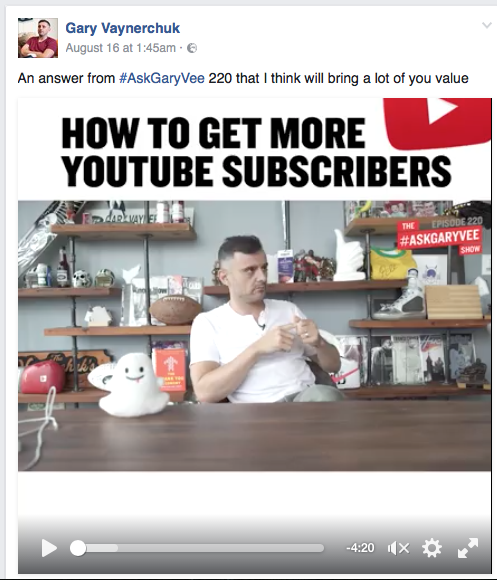 A classic example for people involved in the business world is Gary Vaynerchuk’s Facebook series called the Ask Gary Vee show. Members of the audience post questions to Gary through Facebook and other platforms, and he talks about how people can troubleshoot different problems faced by budding entrepreneurs. The live platform allows him to engage the audience like never before, and he can add lots of value by educating people and showing them tips on how to be successful. This approach can be extended to brands marketing products, where they can show exactly how a user can navigate issues, and ensure the product functions to the user’s liking. The possibilities are truly endless. A great way for brands to gain trust and engage prospects and clients is to appear more human. Facebook live can enable your brand to be more relatable to people. Try to go behind the scenes a lot more frequently. A simple office walkabout or a live discussion amongst your company’s employees can go a long way in increasing your popularity. One of the key elements of live content is authenticity. This is vital for forging positive relationships. If your potential customers know the real faces of your team, they can feel more comfortable, moving forward. For enhancing an audience’s experience, you as a brand need to be receptive. 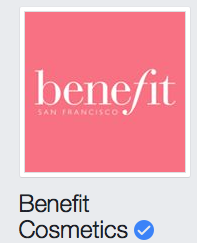 A great example is Benefit Cosmetics. They air a show called Tipsy Tricks at a particular time every Thursday so that audience members can tune in, and ask for specific cosmetic related advice. A couple of folks from the brand will show how you can master certain techniques to look your best. The topics are chosen based on the comments during the live videos as well. Facilitating a method through which your audience can accurately perceive and gauge a sense of what is happening at an event can go a long way. Instead of a report following an important event, which can sometimes accidently reflect the journalist’s opinion alone, you can broadcast the event and let your audience be part of the experience. These events can be planned and synchronized for Facebook live too. For example, Results Fitness streamed a flash mob on Facebook live to celebrate the brand’s 16th anniversary. The live video went on for 9 minutes, long enough for audiences to understand who is involved in the brand and the atmosphere at the event too. Amateur-like broadcasts and personal comments can take you a very long way in terms of driving sales, and forming a bridge between you and your audience. If your broadcast is not tied to a 3rd party event, then make sure you set an approximate time at least for your own live episodes. You need to think, and even ask your audience when they spend the most time on social networks. Plenty of research has gone into this avenue, and results have shown that 1-4pm on Thursdays and Fridays, generate a lot of views, likes, and shares. This is very much a generic result, make sure your experiment to see how your specific audience likes to engage with you. The best times for Sports brand might be the weekend as opposed to any weekday, for instance. The opportunities through Facebook live video are on the rise, and the benefits for you can be massive. 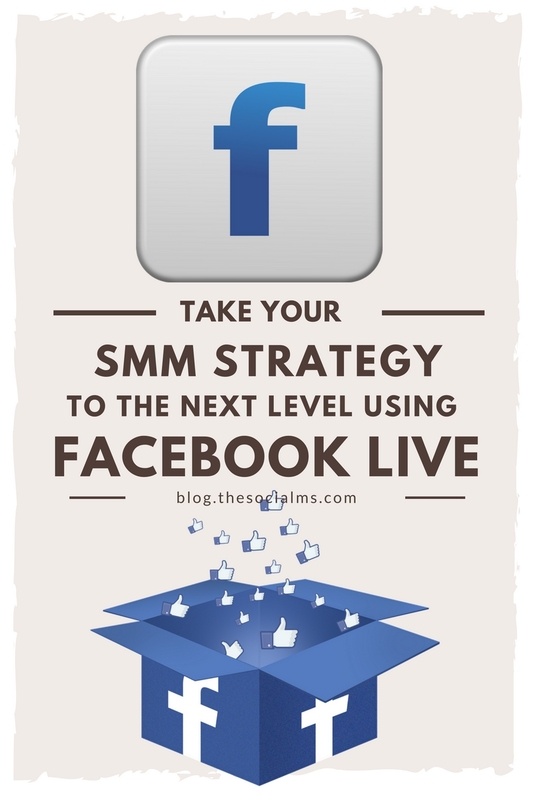 The key is to get creative, and integrate live content in your future planning for SMM. Make audience engagement your priority and create amazing partnerships with your audience. Your journey to think, learn and grow has never been easier.